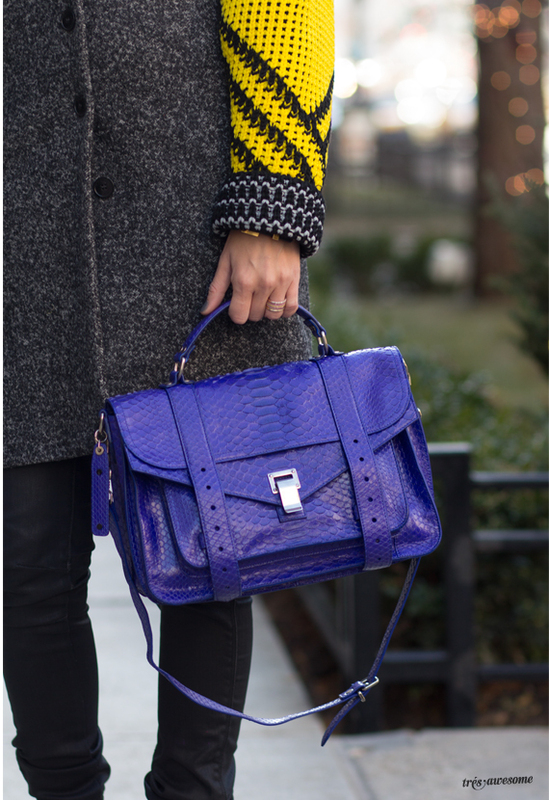 Loving Corri McFadden's primary mix of Kenzo and her Blue Python Proenza Schouler PS1. Très Chic! I really want to see the rest of that coat!